There was very little separation among the top 6 players on this list. Sam Bradford could have been has high as No.2. See where he landed. Photo by SD Dirk. Ranking players is perhaps the least important part of the analysis I do when I create the Rookie Scouting Portfolio. I do realize that rankings are important to many of you who buy the RSP and the process I undertake to arrive at my lists is intensive. However, as me, Chad Reuter, Matt Williamson, Dan Shonka, Wes Bunting, Greg Cosell, or any analyst of NFL prospects not employed with an NFL team will tell you, our rankings lack the context of matching players to a specific teams’ schemes, they lack the extensive knowledge of these players as individuals, and they lack a thorough understanding of each teams’ needs. Therefore, using the NFL Draft as a measuring stick to determine the success of an independent analyst’s rankings of players is a limited exercise. Rankings prior to a draft are not a good reflection of the likelihood of success. That likelihood changes for the player based on when and where he’s draft, if he stays healthy, if his teammates stay healthy, and whether he makes that emotional transition from college athlete to professional. The most accurate analysis we can offer comes from the time spent closely observing a player on film to determine what he can do – and more importantly, trying to discern the difference between what he can’t do right now with what he might never be able to do – that has the greatest value. That is my preamble for this oft-requested feature of ranking these prospects across numerous years. These rankings aren’t what you’ll see in the Rookie Scouting Portfolios from years past because I ultimately decided the best way to rank these players in the spirit of what readers have asked for is to weigh these players towards their upside. However, I’m not factoring what we know in hindsight into this analysis. I will use hindsight to comment about the player, but it was not used to rank them here. It’s also important to know that if I believed at the time of my original RSP analysis that a player had significant deficiencies that I thought would present a likely obstacle for him to reach his ceiling of potential, then I’m not ignoring it even if hindsight has proven otherwise (Darren McFadden for example). If you want to know more about the thought process that went into these rankings, read here. For part I – players 20-11 – go here. I classified Matt Ryan as a "borderline system quarterback," while studying his game. He's a good pro quarterback, capable of helping his team do great things. I'm just not sure he'll ever be a great quarterback. Photo by nanio. Ryan sees the field very well for a college quarterback and he consistently knows where his receivers are. He will often go to his third and fourth option in the progression if he has the time in the pocket. He senses the pass rush very well and makes good presnap reads at the level he plays. When he has time he’s very accurate and he will pick apart a defense. His short-range passing is good even when throwing from a variety of platforms. He knows how to step into the pocket while under pressure and he is willing to throw the football away rather than make reckless decisions. He possesses strong anticipation on intermediate routes and he’s very tough, playing through a broken foot and sprained angkle on the same leg as a junior. However, Ryan has limitations. he’s not very mobile. I’d say at best, he’s a slower, less-agile Carson Palmer in this respect. He has an off-balance delivery with his legs and he has to rare back and then shift his balance to his front foot as he releases the ball to generate velocity. His velocity diminishes greatly even on throws of 7-12 yards if he cannot step into the pass. Ryan’s biggest issues as a pro include good, but not great arm strength; his tendency to perceive pressure; and the inability to throw a deep ball on a line with consistent accuracy. He’s a good quarterback with the weaponry to become a very good quarterback consistently. I love his toughness, but Ryan needs a running game and he’s not going to take over ball games without one. What I believe Ryan demonstrates when looking at the quarterbacks on this list is that there’s nothing wrong with targeting a player that lacks elite physical skills when everything about his game is good to very good. 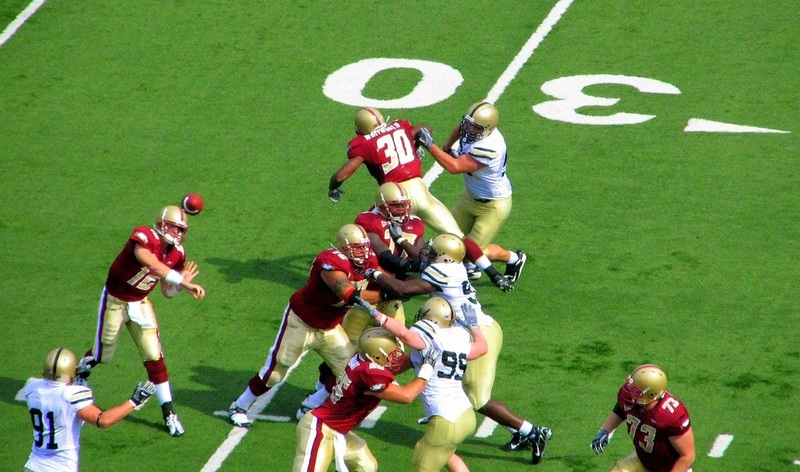 Football is a team sport and if you can acquire enough of these players and place them in the right system, you can build a championship-caliber team. As critical as I have been about Ryan, it’s only been to point out that he’s not the next Tom Brady. Still, he’s good enough that the Falcons’s window of opportunity to become a Super Bowl Champion is wide-open. 9. 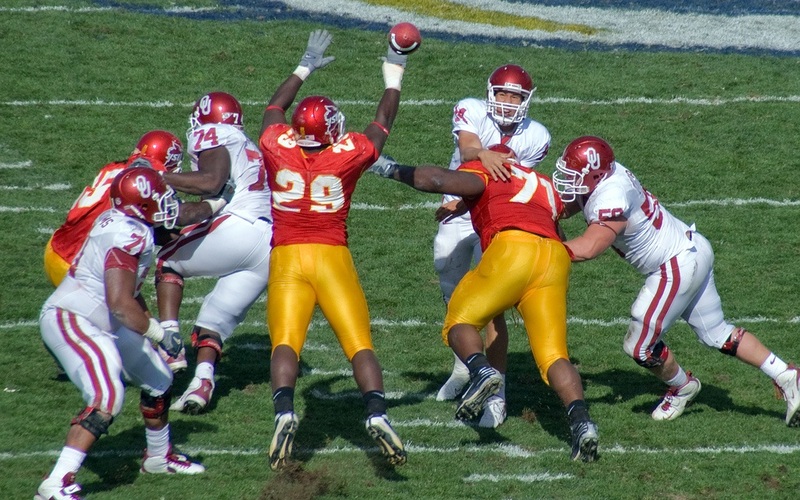 Trent Edwards, Stanford: John Beck and Trent Edwards were my No.1 and No.2 quarterbacks in the 2007 draft class over Jamarcus Russell, Brady Quinn, Troy Smith, and Kevin Kolb. In hindsight, I wouldn’t say that’s a bad call based on the arc of these players’ careers. Kolb still has the brightest future, but that might even be in doubt with the play of second-year pro John Skelton. What this draft class epitomizes more than any is that quarterbacking at the NFL level requires mental and emotional toughness that can get lost during the transition from college star to NFL starter. Russell had all the physical gifts you could want from a passer. He wasn’t as in shape as Cam Newton or Ben Roethlisberger, but if he worked at his craft he had the potential to develop into a player could both hang in the pocket and also make plays with his legs.Russell didn’t work for it like Newton has and we saw the consequences. Brady Quinn had conceptual limitations that were difficult for some teams to see. His emotions tended to get too high for games and effect his accuracy and mechanics. Moreover, his accuracy was already a consistent issue. He was accurate for the college game, but when it came to “creasing” the ball in tight windows he had difficult. He was also hesitant with his decisions. Although Quinn made his name as a hard worker, his draft stock dropped and in hindsight the Browns vastly overpaid for Qunn despite getting him at what some in the media thought was a second-round bargain. Although I still believe Beck is in another bad situation to be adequately evaluated as a pro prospect (no starter-quality receivers with the exception of an tight end and a banged up offensive line), there is the possibility that he simply doesn’t perform well when the games are for real. There’s word that he becomes timid and this timidity was evident as a Dolphin. We’ll see if Beck ever earns a chance to disprove that notion. So far, Beck hasn’t shown the same willingness to go down field with the aggression that top quarterbacks – or even streak ones like Grossman – do consistently. It’s as if there is a fear with making mistakes that clamps down his approach to the game. Trent Edwards had no such problem early in his pro career, but as he took punishment behind a poor Bills offensive line and suffered two serious concussions in two seasons, Edwards game regressed to checking the ball down too often. As with David Carr, Edwards lost that edge that quarterbacks need to be successful in the NFL. Both quarterbacks I just mentioned demonstrated toughness early in their careers, but it only takes so much punishment to change the outlook of a player. This is something I’ve seen from watching Edwards play hard and play well behind a Stanford line that was horrible. During this time I saw Edwards get punished and subjected to late hits and cheap shots and get up for the next play and deliver a pro-caliber throw. His teammates described him as one of the greatest warriors they have ever played with and that his competitive nature was unrivaled. Scouts liked Edwards, who was the No.1 prep QB coming out of high school, and demonstrated an aggressive, down field demeanor, mobility, accuracy, and timing. Those flashes of potential were evident at Buffalo early on, but he could not sustain and improve upon his effort. It just goes to show that players can lose their edge if its beat out of them. It also underscores just how good Troy Aikman was to take the beating he took as a rookie in Dallas and develop into a Hall of Famer. 8. Jamarcus Russell, LSU: Although footwork and timing were legitimate issues with Russell, he had the best physical tools of any quarterback in that 2007 class. He could throw the ball with power from the pocket or on the move. He was a load to bring to the ground and his potential to hang in the pocket and make the big play was terrific. However, Russell was a streaky player. His decision-making would often experience lulls during games and he wasn’t a great pressure player. I believe that very few players have the natural gift of performing well under pressure, it comes with massive preparation of the little thing so when that big moment arrives they feel confident in their execution. Russell never worked hard enough on those little things. If he did, the Raiders could have been a much better team a lot earlier without trading essentially two first-round picks for Carson Palmer. Size and arm strength only go so far in the NFL. 7. Josh Freeman, Buccaneers: Freeman might be that player with natural poise and he’s certainly a better conditioned athlete than Russell. Tough, strong-armed, and mobile, Freeman had as much upside, if not more, than classmates Matt Stafford and Mark Sanchez. I loved how Freeman demonstrated the ability to slide away from pressure and keep his eyes down field. He did a great job of some of the little things that made a player good in the pocket such as turning the shoulder away from pressure and rest his body to make the throw. The problems I saw centered on Freeman staring down receivers all too frequently and not demonstrating the ability to execute smaller techniques that could manipulate a defense. I thought these things would require 2-3 seasons of work, but Freeman was the most successful passer of him, Sanchez, and Stafford by the end of his second year. It’s rare for a quarterback to produce a 25-touchdown, 6-interception effort in his second year and it seemed his career was headed for great things. However, this year Freeman is on track to have fewer touchdowns than interceptions and more interceptions than his first two years combined. 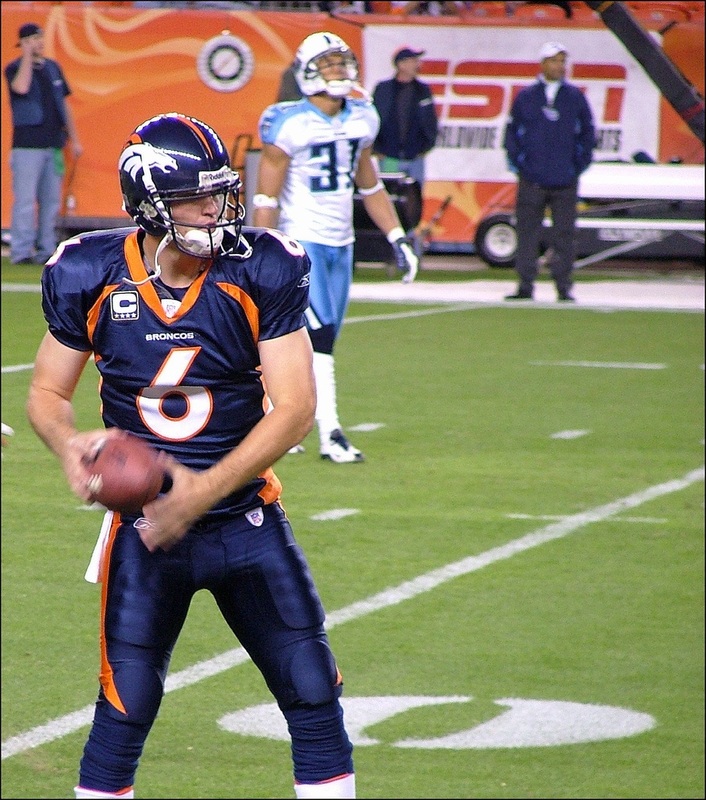 Freeman exemplifies how much constant work is required to become an elite NFL quarterback and even that work is no guarantee a player can maintain a high level of play. Factors such as the growth and development of surrounding players and coaches also have a significant impact. Look at Philip Rivers. 6. Cam Newton, Auburn: I looked at Newton in a similar vein as Freeman and Russell: a strong-armed, athletic passer with a lot of potential to play well from the pocket. The reason I like Newton more is that he showed more poise and polished passing technique than Russell and more signs of hyper accuracy than Freeman.He looked like a player with vast upside who might get by on his athletic talent early while he developed into a better passer from the pocket. I had no idea Newton would be this good, this fast. If I did, he would have been in my top-five, probably top-three. He’s conceptually much better than I could have imagined. Although in hindsight there were signs that Newton could be this good, making the projection he’d do so this quickly would be off the charts against the grain in terms of sensibility. It’s dangerous to label Newton as an easy fix, but his issues with accuracy, touch, and rhythm all stem from the fact that he plays in a spread system with little experience as a drop back passer. It means that the faster Newton can attain good footwork, the quicker his problems are likely to improve. Newton has shown excellent flashes of accuracy both on the move and in the pocket. but he has a tendency to throw the ball off his back foot and release passes off balance – often leaning to his right. As with a boxer analogy I used to discuss a quarterback’s delivery, Newton is a player who will become more consistent as the choreography of his feet takes on a familiar and consistent process with each type of drop. Newton is known as a worker and if his work habits continue to be as good as a pro, he should have no trouble making the strides to become a proficient pocket passer. Again, I was shocked he was this good, this quick. I was shocked Ben Roethlisberger was when he performed as well as he did as a rookie. I don’t expect rookies to execute with consistent poise and smarts.Even this weekend against the Titans, Newton’s mistakes weren’t catastrophic. He tries to take what the defense gives him while still forcing the issue with good judgment. Hopefully, he’ll sustain it. I think he will because based on his interviews after losses, he hates to lose more than he loves to win. 5. Sam Bradford, Rams: What vaulted Bradford into the top five was his pinpoint accuracy in tight coverage. This aspect of his game was really advanced. His tight-window “crease” throws were as impressive has his deep passes. I also liked that Bradford’s deep ball was a high-arcing rainbow, but more of a throw delivered on a line. There are only two other prospects I’ve seen since 2006 that had Bradford’s combination of arm, accuracy, and anticipation. What kept Bradford out of my top three was his lack of top-shelf athleticism. He’s a tough player with some mobility, but he lacks that skill to make crazy-accurate throws on the move when the opposing defense paints him into the corner. Bradford is essentially Matt Ryan with a strong arm when it comes to skill sets. He’s just a notch above a system player and capable of elite production with talent around him. But I don’t think Bradford has that special quality to carry his teammates on his back for a quarter or two when his team has no business winning a game. This is one of those qualities that I think Kevin Kolb, Christian Ponder, Vince Young, Blaine Gabbert, and Jake Locker are rated as high as I have them. They all have that potential. What placed Bradford above them was the consistency, the hyper-accuracy all over the field, and just enough athleticism to execute in any system. I went back and forth with Bradford and Newton for the fifth spot, but I had to go with the quarterback I felt was more NFL-ready to begin his career. While I thought Newton’s issues were easy fixes, those were important passing techniques that Bradford had down cold. In hindsight Newton would have earned the nod, but I’m not ranking these players based on hindsight. Mark Sanchez still has a lot of potential to grow into a Pro Bowl quarterback. What he's done in the high-pressure environment of New York is impressive for a young player. Photo by avinashkunnath. 4. Mark Sanchez, USC: Newton was the better athlete with a bigger arm and lots of poise. Bradford’s pinpoint accuracy was more consistent all over the field. But Sanchez’s movement in the pocket, his skill outside the hash, and his ability to do little things with the ball on a consistent basis to manipulate the defense (play fakes and pump fakes) were all too good to ignore. His skill at making off-balanced throws were more apparent than Bradford because Sanchez played in a West Coast offense and I got to see him drop into a pocket more often and I liked his poise to handle this frenetic part of quarterbacking.Sanchez hasn’t been statistically impressive, but he plays for a defensive-minded coach that tends to be hard on him and he’s still managed to play well enough in his first two full seasons to lead the Jets to AFC Championship Games. Define “lead” all you want, but look at Joe Flacco with arguably a better supporting cast as a point of comparison and I think we can agree that Sanchez understands how to play aggressively, but still within himself. I’ve seen enough Jets games to believe that once his teammates play up to the caliber of their talent on a consistent basis, Sanchez can continue to grow into a strong NFL quarterback with very few limitations. 3. Nate Davis, Ball State: Davis is one of the reasons why I opted to compile my list based more on upside of what I saw at the time rather than using the convenience of hindsight. There is only one other player on this list that I thought was as natural, if not more natural, throwing the football.Davis has an incredible arm, franchise quarterback accuracy, and his pocket presence was fantastic. Davis flashes a really smart game. He showed he knew when the situation required him to check the ball down to a secondary receiver, but he also was willing to take a shot with a throw between two defenders in tight coverage. He demonstrated very good arm strength with a compact delivery and extremely quick release, but he also has nice touch on the ball. This combination of skills might be what separates him from other QBs I’ve seen. He also moves well. He drops and sets his feet reasonably well, has good play fakes that he carries through most of the time, and he can move around in the pocket or break off a decent run when called upon. He managed the game very well and he also made plays down field. He had a knack for buying time in the pocket and converting on 3rd downs. This was one of the most impressive QB performances I’ve seen all year. He has NFL physical skills and at least in this game, he showed a very strong acumen for the position. If he can play this well consistently, he has strong potential to be a long term starter for an NFL franchise. But I’m not the only one. There were several folks who thought Davis as a much better quarterback prospect than where he was drafted. Dave Razzano and Mel Kiper were among them. Davis failed to earn a chance in San Francisco but according to a source I spoke with who has strong connections with the franchise, the veterans loved what they saw from the young quarterback and thought he deserve more opportunities to prove himself.The Seahawks and Colts cut Davis well before he had a chance to show the same impressive stuff he demonstrated in NFL preseason games with the 49ers. Just watch arm, athleticism, decision-making under duress, poise, and pinpoint accuracy in a variety of situations. But the problem for Davis was work ethic. Tim Kawakani’s piece, The pros and cons of Nate Davis, 49ers QB Enigma, lays out what has held Davis back. According to Mike Singletary and Alex Smith, the talent is abundant but the work ethic in the offseason wasn’t there. 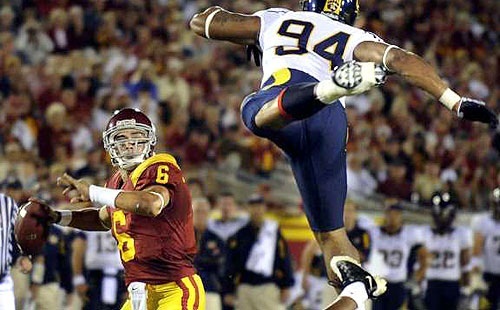 A talented running back can get away with this in his youth (Ryan Mathews), but a quarterback? No way. Davis might be the most talented quarterback I’ve seen that has not capitalized on his skill. Forget the learning disability, the ESPN article gives plenty of evidence to show that’s not really an issue as much as it is a convenient criticism for people that only want to have conversational knowledge about the player. The issue has to do with talent and work ethic. We like to say that talent is the product of thousands of hours of work. This is true. But there is also natural talent. It’s an exceedingly rare thing to witness. Unfortunately, one of the problems with natural talent that can occur is that everything comes easy until that person has to compete with people just as good as he is. When that happens, its the people that had to put in the hard work to develop their talent that thrive. It’s because they are accustomed to working for it. Those with this rare natural talent sometimes aren’t. Unfortunately, Nate Davis is that kind of rare natural talent. 2. Matt Stafford, Georgia: There wasn’t much separation between Stafford and Mark Sanchez in 2009’s QB class. Stafford was the better arm talent with more noticeable skill to make the type of plays outside the pocket that could beat defenses trying to paint him into a corner. Sanchez was very good in this regard, but Stafford was just that extra bit better. Like Sanchez, Stafford showed good touch in addition to the laser arm. Stafford was also an underrated runner, but I think the Lions are probably more leery of him running like he did at Georgia after he suffered slow-recovering injuries during his first two seasons. Although his pinpoint accuracy wasn’t as consistent was streakier than Sam Bradford’s, it was nearly as good. Stafford also operated a pro style offense and demonstrated consistently good skills in the pocket avoid pressure. Most of his issues were small things that he was lazy about correcting – easy fixes with footwork, looking off the safety a little longer, and protecting the ball. Ironically, I thought Stafford would be more durable than Sanchez or Bradford. As we’ve seen, the NFL is the great equalizer in that regard. Still a long way to go before we can judge that accurately, but thus far my assessment was off the mark. The one other reason I liked Stafford more than Bradford was his recognition of defensive tendencies at the line of scrimmage from the vantage point of a pro style offense with only two receivers against some of the fastest defenses in college football. He wasn’t spreading teams out or playing dink-and-dunk offensive football. In this respect he was a great prospect physically, mentally, and in terms of his experience translating to the pro game. Cutler is the one college quarterback who consistently showed he could carry his team against opponents that outmatched his teammates. Photo by Jeffrey Beall. 1. Jay Cutler, Vanderbilt: Cutler is the other quarterback I was referring to as a natural thrower of the ball. In fact, if I saw more of Cutler’s games in 2006 I would have had an easier time putting him atop my list. The only real issue I saw with Culter was a level of recklessness that reminded me of Brett Favre in ways both good and bad. However Cutler did the one thing that no quarterback on this list demonstrated as blatantly: he could carry this team on his back for an extended period of time. There are players I thought flashed this quality. Cam Newton, Matt Stafford, and Vince Young demonstrated it, but they all had surrounding talent that was far better than what Cutler was working with. Bruce Gradkowski, Christian Ponder, and Nate Davis flashed it as well, but I didn’t see them do it against teams where they were completely outmatched. Cutler has the arm talent that approaches Jeff George’s with far greater mobility and athleticism. And if you never saw Jeff George throw the football then you’re missing perhaps the most natural passer the NFL has seen. He simply didn’t have the mindset to be a great NFL player. Cutler was also a bigger, heavier player at Vanderbilt and he was more of a tackle-breaker in the pocket. He reminded me of Brett Favre or John Elway. However, Cutler has slimmed down since complications from diabetes were spiraling out of country earlier in his career. I’m tempted to add Tom Brady and Cam Newton to this list, but I don’t think Cam has the savvy just yet to consistently deliver off balanced throws with accuracy under constant duress and Brady – despite a great play Sunday night where he bought time to deliver what appeared to be a touchdown pass to Rob Gronkowski after eluding the Jets pressure for several seconds – lacks the mobility of Cutler despite possessing equal or better pocket presence. Give Cutler a good offensive line, a true primary receiver (remember his 4500-yard year with Brandon Marshall? ), and a good ground game and the Packers-Bears rivalry could have some of the greatest offensive shootouts in the history of football, if not the greatest era of football between these rivals, period. Unfortunately, I believe the Bears defense is probably closer to its sunset than the Packers and unless Cutler gets a great receiver, stud tight end, and an improved line next year, it’s not going to happen. Thanks for the list. I am a Colts fan and the owner of a really deep fantasy league team that is in need of a QB so naturally I wonder where Luck falls on this list. I know the hype had gotten out of control and now after the game this weekend it will probably become pretty popular for everyone to dump on him. Is he more like Matt Ryan or do you think he has the potential to be the next Elway or Manning? Can’t say where Luck falls on this list, but he’s not like Ryan. Luck is more mobile and more rugged. He’s not as athletically dynamic as Cam Newton, but he might be similar to Ben Roethlisberger as an athlete, which is still pretty good. Luck reminds me of Chad Pennington before he hurt his shoulder… I mean that as a compliment. In terms of his anticipation and accuracy. I thought Pennington was always vastly underrated. Nothing has really changed Hugh. He’s a fine player with a great receiver and young weapons in a shotgun offense. Should continue to produce as a high level. why Eagles sign Dennis Dixon, and not give Trent Edwards a shot is beyond me… he was boned in Buffalo and still in his mid to late 20’s… whats up with him/this??? BEHIND THE SCENES CRAP??? No. Edwards hasn’t the skills he once had for quite a few years now. It’s even apparent in limited preseason time. Dixon’s signing is a better investment. Nothing behind the scenes but fit with a new style offense.